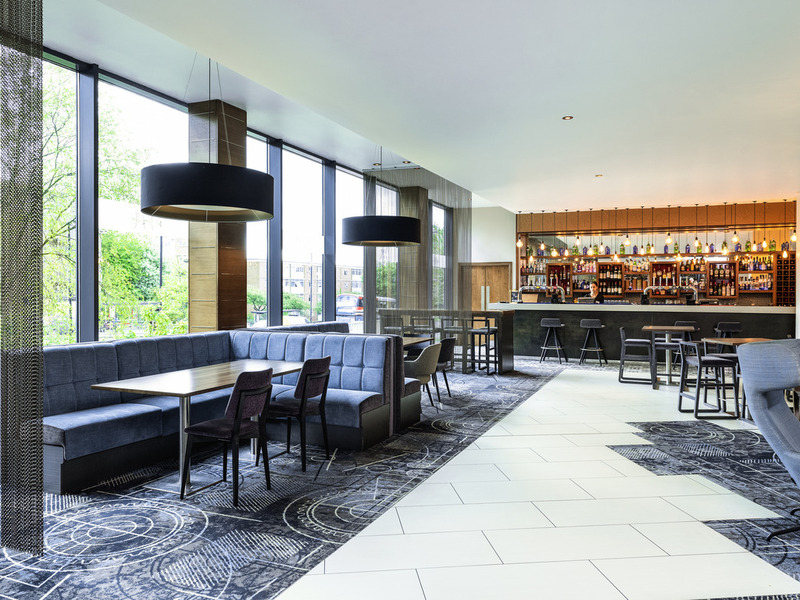 The hotel's unique look shares its connections to the rich industrial and maritime history that Bristol is renowned for. As a result, it creates a great feeling of space and is flooded with natural daylight throughout. With a newly refurbished events floor with dedicated lounges and break out areas, the hotel is perfectly placed for business and leisure. Its harbourside location gives guests the opportunity to explore the many nearby attractions the city has to offer. Excellent stay. Exactly what I expected from a Mercure Hotel, having stayed in their hotels in Edinburgh and Paris. We asked for a quiet room and that’s what we got. My only negative point is that I was woken at 2.45am by drunk, extremely loud and inconsiderate people, having a conversation outside my room, in the corridor. I could still hear them when they returned to their room (which I assume was either next to, or close to, mine). As I was attending a course the next day, I really didn't appreciate the disturbance. Not that I would have in any other circumstances to be honest. I realise that this inconsiderate behaviour is out of the control of the hotel staff, but it did unfortunately affect my stay and I am hesitant to stay again because of this. Otherwise, everything was very good and I have no other complaints. Good location, friendly helpful staff and very good room with all the amenities. Only down side is the cost of the car park which has very limited availability. Staff were efficient and friendly. Spacious room, clean and tidy. Very good shower. Breakfast was well organised, except coffee machines which had too long a wait to use and were slow. I stay at the Mercure Holland House Bristol on a regular basis and do like this hotel. I stayed in a privilege room which was good, although I’ve stayed in nicer ones. The fridge in my room had been removed so my drinks weren’t chilled which was disappointing. I used the hotel pool in the morning. It was quiet and clean. I had the breakfast buffet. There was a good choice of items and the staff were friendly. Television channels didn't work Room service didn't tell me value of order - got a shock at the bar and it took 3 staff to remove drinks from the order, all of whom behaved as if I was stupid for not knowing the total from adding it up from the room menu. Housekeeping rinsed dirty glasses in cups in bathroom and replaced them in the room which I think is disgusting and we didn't have any more drinks in the room as a result. The hotel was extremely good for a budget hotel but trying to find where to park to unload your baggage was a little difficult. Great location opposition the water and excellent view. Lots of wonderful restaurants very close at hand and very safe area. Nice stay, glad we booked it. Really helpful staff, nice clean room, comfy bed, decent breakfast. Convenient location. Will stay there again if we visit Bristol. Our Privilege room was very good (although a little cold). It was very spacious and comfortable and having a bath in addition to a shower was great. The staff we encountered were all very friendly and helpful, especially the reception staff. We also used the pool area, which was good, although the changing rooms were a little small and not that impressive. Stay was good bar the minor issues below: Large towel in bathroom had holes in it. Remote control for TV batteries needed changing Breakfast - bacon and sausages weren't up to scratch compared against prev visits. Spoiled by some idiots in another room. The hotel and room was fine. However after complaining about the noise from an adjoining room once and your staff speaking with them, the noise continued and I was forced to pack my bag and go to reception to ask for another room at 1:30am. I was moved to a Privelege room on the ground floor, but this turned out to be by a set of double doors in the main corridor through which people were noisily coming and going until at least 4am and which banged loudly every time they closed. Result, no sleep. At all. Enjoyed the stay overall. Bar and service in the bar and restaurant was very good. Room was ok good sate of decoration. Strange fault with the TV system in the hotel. No BBC channels were available so no match of the day 2 in bed on Sunday. Lovely room, comfortable bed, great shower, good choices at breakfast and lovely swimming pool. Unfortunately bbc tv not working while we were there recently but otherwise a very good stay.